PART - XII VARIOUS GRAND LODGES; YORK, IRELAND, SCOTLAND ETC. PART - XIII VARIOUS GRAND LODGES; FRANCE, GERMANY, ETC. In a chapter on the Roman Collegia published last June I referred briefly to the Comacine builder guilds as forming a bridge between the ancient classical culture of Rome and the medieval civilization which grew up after the barbarian invasions had ceased, leaving Europe in a state of more or less quiet. It is now in order to proceed farther into that subject, for it is one that will pay careful examination, especially since so much is being written about it these days pro and con. One friend and brother, who has a name among Masonic scholars, exclaimed in a recent letter, "I have grown weary of hearing about those blessed Comacines, and how Freemasonry sprang out of their loins, and how they kept the light burning in the Middle Ages. The truth is we know nothing about them." I could not agree with this colleague because he is undoubtedly wrong in saying that we know nothing about the Comacine masters - we know a great deal - but I could understand why he should be so impatient of those enthusiasts who have been claiming far more for the Comacines than the facts warrant. It will not be our purpose here to attempt to settle the problem one way or another; a setting forth of such facts as are known, with a brief sketch of the theory concerning their bearing on the history of Freemasonry, will satisfy our present needs. The Comacine theory was first brought to the attention of the English-speaking Masonic world by a woman, Mrs. Lucy Baxter, who, writing over the penname of "Leader Scott", published in 1899 a remarkable volume entitled The Cathedral Builders; The Story of a Great Masonic Guild, with eighty-three illustrations, issued by Simpson Low, Marston and Company, London. The book is now unfortunately out of print, and growing more scarce all the while, with a rapidly mounting price. This work of 435 pages was followed in 1910 by a kind of codicil, in the shape of a small volume of eighty pages, by our faithful and beloved friend, Brother W. Ravenscroft, called The Comacines, Their Predecessors and Their Successors, afterwards published as a serial in THE BUILDER, along with many illustrations, and then reissued in book form. Except for scattered references in histories and encyclopedias these two books comprise the sole literary sources for English-speaking Masons, but there is quite an abundant literature on the subject in Italian, some of which should be translated and published in America. As we have already seen, the arts and crafts of the Roman Empire were rigidly organized into guilds, or collegia, each of which had in monopolistic control some one business, profession or handicraft. These were destroyed by the barbarians along with the towns and communities in which they were located, but a few of them, at Constantinople and in Rome particularly, survived the holocaust. It is believed that a collegium, or a few collegia, of architects and their workmen continued in the diocese of Como, situated in the Lombard kingdom of Northern Italy, on and about the lovely Lake Como, which included the districts of Mendrisio, Lugano, Bellinzona and Magadino. Why they remained there is a mystery, but it is believed that the presence of large stone quarries in that region was one reason, and that the strength and relatively high development of the Lombardic state was another. This region, many suppose, remained their seat and center for centuries; hence, their name, "Comacini." "The expression 'magistri Comacine'," writes Rivoira in his magnificent Lombardic Architecture (Vol. 1, p. 108), "appears for the first time in the code of the Lombard king, Rotharis (636-652), where, in the laws numbered CXLIII and CXLV, they figure as Master Masons with full and unlimited powers to make contracts and subcontracts for building works; to have their collegantes or 'colleagues' partners, members of the guild or fraternity, call them what you will - and lastly, their serfs (servi) or workmen and labourers." Rivoira says that in the region of Como guilds, or collegia, had never come to an end, and that many stone, marble and timber yards existed there to attract such workmen. In his History of Italian Architecture Ricci states that the Comacine guilds were made free and independent of medieval restraints and set at liberty to travel about at will, but that statement has received no confirmation in Papal Bulls, the Acts of the Carolingian Kings, or in any of the authentic annalists, though search has often been made, and was made at Rome long before there existed any prejudice against Freemasonry in that quarter. The Comacines extended their influence and activities in the same way as other guilds, by invitation and contract, and by organization of lodges in new towns. When St. Boniface went to Germany as a missionary, Pope Gregory II gave "him credentials, instructions, etc., and sent with him a large following of monks, versed in the art of building, and of lay brethren who were also architects, to assist them." Italian chroniclers say that when the monk Augustine was sent in A.D. 598 as a missionary to convert the British, Pope Gregory sent along several Masons with him, and that Augustine later on sent back for more men capable of building churches, oratories and monasteries. Leader Scott believes that in both these instances the workmen sent were Comacine masters and bases her contention on the evidence of building methods and styles employed. Similarly, she traces the Comacines into Sicily, Normandy, and into all the large centers of Southern, Italy, in this way explaining how, by a gradual circling outward, the Comacine fraternity of builders came at last to work in nearly all parts of Europe and Britain. On page 159 of her book Leader Scott gives a valuable summary of the history of the Comacines, basing it largely, one may suppose, on Merzario's I Maestri Comacini, Vol I, a treatise that should by all means be translated and published in this country. "1. When Italy was overrun by the barbarians, Roman Collegia were everywhere suppressed. "2. The architectural college of Rome is said to have removed from that city to the republic of Comum. "3. In early medieval times, one of the most important Masonic guilds in Europe was the Society of Comacine masters, which in its constitution, methods and work was essentially Roman, and seems to have been the survival of this Roman college. "4. Italian chroniclists assert that architects and masons accompanied Augustine to land, and later Italian continental writers of repute adopted that view. "5. Whether this is proved or not, it was customary for missionaries to take in their train persons experienced in building, and if Augustine did not do go, his practice was an exception to what seems to have been a general rule. Besides, a band of forty monks would have been useless to him unless some of them could follow a secular calling useful to the mission, for they were unacquainted with the British language and could not act independently. "6. Masonic monks were not uncommon, and there were such monks associated with the Comacine body; so that qualified architects were easily found in the ranks of the religious orders. "7. From Bede's account of the settlement of Augustine's mission in Britain, it seems clear that he must have brought Masonic architects with him. "8. Gregory would be likely to choose architects for the mission from the Comacine Order, which held the old Roman traditions of building, rather than those of a Byzantine guild, and the record of their work in Britain proves that he did. "9. In Saxon as in the earlier Comacine carvings there are frequent representations of fabulous monsters, symbolical birds and beasts, the subjects of some of these carvings being suggested, apparently, by the Physiologists, which had a Latin origin. "10. In the writings of the Venerable Bede and Richard, Prior of Hagustald, we meet with phrases and words which are in the Edict of King Rotharis of 643, and in the Memoratorio of 713 of King Luitprand, which show that these writers were familiar with certain terms of art used by the Comacine masters." If this account be true it is of inestimable importance to us as giving an explanation of how the arts of civilization, long supposed to have become extinct during the Dark Ages, were never extinct at all but were continued in preservation by the workmen and artists in the Comacine guilds. Those men were more than builders, for they were skilled in many other crafts beside, and understood sculpture, painting, Cosmati work or mosaic, wood work and carving, and also, it may well be, literature and music, along with many other accomplishments belonging; to the civil arts. Like one ship crossing a stormy sea into which all its sister vessels had sunk, the organization of the Comacine masters preserved the ark of civilization until such time as the hurricane cleared from Europe and the seething barbarian tribes themselves became ready for peace and communal life. If there is any unbroken continuity in the history of architecture, if builder guilds of a more modern period can trace any of their arts, traditions and customs back to ancient times, it is through the Comacines that the chain was kept unbroken in the Dark Ages. It must not be supposed that all this has as yet been solidly established; the Comacine Theory continues to be a theory. Rivoira, who is always so careful, is cautious against accepting too much. He says that we know little about their manner of organization, or about the terms connected with them, schola, loggia, etc. But even so he attributes to them great histories importance, not only as serving as a link with the ancient collegia, but also as paving the way for the magnificent renaissance of art and civilization which as seen in our first chapter in this series, burst into flower in Gothic architecture. His following words bear witness to that. "Whatever may have been the organization of the Comacine or Lombard guilds, and however these may have been affected by outward events, they did not cease to exist in consequence by of the fall of the Lombard kingdom. With the first breath of municipal freedom, and with the rise of the new brotherhoods of artisans, they, too, perhaps, may have reformed themselves like the latter who were nothing but the continuation of the 'collegium' of Roman times preserving its existence through the barbarian ages, and transformed little by little into the medieval corporation. The members may have found themselves constrained to enter into a more perfect unity of thought and sentiment, to bind themselves into a more compact body, and thus put themselves in a condition to maintain their ancient supremacy in carrying out the most important building works in Italy. But we cannot say anything more. And even putting aside all tradition, the monuments themselves are there to confirm what we have said." "In this darkness which extended over all Italy, only one small lamp remained alight, making a bright spark in the vast Italian necropolis. It was from the Magistri Comacini. Their respective names are unknown, their individual works unspecialized, but the breath of their spirit might be felt all through those centuries, and their name collectively is legion. We may safely say that of all the works of art between A.D. 800 and 1000, the greater and better part are due to that brotherhood - always faithful and often secret - of the Magistri Comacini. The authority and judgment of learned men justify the assertion." "While we are speaking of the Masonic Companies and their jealous secrecy we must not forget the most grand and potent guild of the Middle Ages, that of the Freemasons; originating most probably from the builders of Como (Magistri Comacini). it spread beyond the Alps. Popes gave them their benediction, monarchs protected them, and the most powerful thought it an honour to be inscribed in their ranks. They with the utmost jealousy practised all the arts connected with building, and by severe laws and penalties (perhaps also with bloodshed) prohibited others from the practice of building important edifices. Long and hard were the initiations to aspirants, and mysterious were the meetings and the teaching, and to enable themselves they dated their origin from Solomon's Temple." "Thus, though there is no certain proof that the Comacines were the veritable stock from which the pseudo-Freemasonry of the present day sprang, we may at least admit that they were a link between the classis Collegia and all other art and trade guilds of the Middle Ages." "With the breaking up of the College of Architects and their expulsion from Rome, we come upon a period in which it is hard to follow their path. Happily the task has been made less baffling by recent research, and if we are unable to trace them all the way much light has been let into the darkness. Hitherto there has been a hiatus also in the history of architecture between the classic art of Rome, which is said to have died when the empire fell to pieces, and the rise of Gothic art. Just so, in the story the builders one finds a gap of like length, between the Collegia of Rome and the cathedral artists. While the gap cannot, as yet be perfectly bridged, much has been done to that end by Leader Scott in The Cathedral Builders; The Story of a Great Masonic Guild - a book itself a work of art as well as of fine scholarship. Her thesis is that the missing link is to be found in the Magistri Comacini, a guild of architects who, on the break-up of the Roman Empire, fled to Comacina, a fortified island in Lake Como, and there kept alive the traditions of classic art during the Dark Ages; that from them were developed in direct descent the various styles of Italian architecture; and that, finally, they carried the knowledge and practice of architecture and sculpture into France, Spain, Germany and England. Such a thesis is difficult, and from its nature not susceptible of absolute proof, but the writer makes it as certain as anything can well be." "At the present day the idea of there having been, in the early part of the thirteenth century, Colleges of Masons in every country of Europe, which received the blessing of the Holy See, under an injunction of dedicating their skill to the erection of ecclesiastical buildings, may be dismissed chimerical. Though I must not forget that, according to the well-known and highly imaginative Historical Essay on Architecture (1835) of Mr. Hope - who greatly expands the meaning of two passages in the works of Muratori - a body of traveling architects, who wandered over Europe during the Middle Ages, received the appellation of Magistri Comacini, or Masters of Como, a title which became generic to all those of the profession. The idea has been revived by a recent writer, who believes that these Magistri Comacini were a survival of the Roman Collegia, that they settled in Como and were afterwards employed by the Lombard kings, under whose patronage they developed a powerful and highly organized guild, with a dominant influence on the whole architecture of the Middle Ages (The Cathedral Builders). But, even if such a theory had any probability, it would be far from clearing up certain obscurities in the history of medieval architecture, as the author suggests would be the case. Interchanges of influence were not uncommon, but the works of local schools present far too marked an individuality to render it possible that they could owe much (if anything) to the influence of any central guild." On page 175 of the same work Gould refers to George Edmund Street as saying that such a theory as that of the Comacines "seems to me to be altogether erroneous"; Wyatt Papworth as saying that "I believe they never existed"; and on the preceding pages prints a long excerpt from Dr. Milman to the same effect. It appears to me that this opposition is a reaction to an exaggeration of the Comacine argument. Leader Scott does not claim for them that they themselves laid out European civilization, or founded Gothic architecture (as Dr. Newton appears to do, and which is most certainly an error), or that the founding of all the medieval architectural styles was their work; she holds merely that in and around Lake Como there long existed a guild of architects, and to this guild traced many influences; their influence in various lands she suggests by way of cautious tentative theories, and never wearies of warning her reader that she is feeling her way through the dark; and she believes that the history of this Comacine guild may be traced back to very ancient days, and may be very probably linked on to the history of the Roman collegia. We Masons have long ceased to be moved by the vulgar desire to claim for our Fraternity an impossible antiquity, as if it had been organized by Adam in the Garden of Eden, or was, as one old worthy expressed it, diffused through space before God created the world. Freemasonry is old enough as it is, and honourable enough, not to require that we embellish it by a fabulous lineage. We know that it came into existence gradually, like everything else in our human world, here a little and there a little, and that it was no more miraculous in the past than it is now. At the same time we are interested to observe the rise and prosperity of organizations similar to it, or prophetic of it, wherever or whenever they may have come into existence. The use of cooperation and of fraternity, the employment of the device of secrecy and loyalty to aims above the present moment, the contemplation of such endeavors by our striving fellow men, toiling in the dim twilights of life, is always an inspiration, and helps to set aglow the ideals of our own Masonry hidden away in the recesses of our souls. It is from such a point of view, I believe, that we should look upon the story of the Comacines; I have not been able to persuade myself that they were in any accurate use of the word Freemasons, or that our own Fraternity has had any but the most tenuous and general historic connections with the lodges of those old masters. The story of our Craft is intertwined with the history of architecture, so that any new light on the latter helps us the better to understand the evolution of the former; in this sense, and in the sense defined just above, the story of the Comacines is of value to us, but not as comprising a chapter in the known veridical history of Masonry. The Comacine guild was in many respects similar to the Masonic guilds that came after, and which served as the roots from which Symbolical Masonry ultimately developed, but to see in the Comacine guild the immediate parent of the Masonic guild is not possible, it seems to me, unless we are to trust too much to imagination or are willing to stretch the word "Freemasonry" to mean more than it should. My own theory, which will be elaborated step by step as these chapters proceed, is that Freemasonry strictly so-called originated in England and in England only that it had its gradual rise among the guilds that grew up with Gothic architecture; that a germ of moralism, religion and ceremonialism in those guilds, chancing to find itself in a favouring environment, out-grew the operative element until in the seventeenth century lodges began to become wholly speculative; that in this time of transition new elements were introduced from certain occult sources; and that this evolution culminated at last in 1717 with the founding of the Mother Grand Lodge at London, from which all modern Freemasonry has been subsequently derived. I have not been able to satisfy myself, though I have had the will to try, that our Masonry was given to us by the Comacine masters. "Our author goes on to tell of the second revival of Freemasonry, in its present entirely spiritual significance, and he gives Oliver Cromwell, of all people, the credit of this revival! The rites and ceremonies he describes are the greatest tissue of medieval superstition, child's play, blood-curdling oaths and mysterious secrecy with nothing to conceal that can be imagined. All the signs of Masonry without a figment of reality; every moral thing masquerades under an architectural aspect, and that 'Temple made without hands' which is figured by a Freemason's lodge in these days. But the significant point is that all these names and Masonic emblems point to something real which existed at some long-past time, and, as far as regards the organization and nomenclature, we find the whole thing in its vital and actual working form in the Comacine guild. Our nameless Italian who reveals all the Masonic secrets, tells us that every lodge has three divisions, one for the novices, one for the operatori or working brethren, and one for the masters. Now wherever we find the Comacines at work we find the threefold organization of schola or school for the novices, laborerium for the operatori, and the Opera or Fabbrica for the Masters of Administration. "The anonymous one tells us that there is a Gran Maestro or Arch-magister at the head of the whole order, a Capo Maestro or chief master at the head of each lodge. Every lodge must besides be provided with two or four Soprastanti, a treasurer and a secretary-general, besides accountants. This is precisely what we find in the organization of the Comacine lodges. As we follow them through the centuries we shall see it appearing in city after city, at first fully revealed by the books of the treasurers and Soprastanti themselves, in Siena, Florence and Milan. "Thus, though there is no certain proof that the Comacines were the veritable stock from which the pseudo-Masonry of the present day sprang, we may at least admit that they were a link between the classic Collegia and all other art and trade Guilds of the Middle Ages." The analogies between the two briefly referred to in this quoted passage, might be expanded. The Comacines had lodges, Grand Masters, secrets (they kept a secret book called L'Arcano Magistero), wore aprons, kept a chest, dispensed charity, possessed means of identification, and employed much symbolism of which some items are familiar to us, as King Solomon's knot the Lion of Judah, the two Great Pillars "J" and "B"; square, compasses, mosaic pavement, etc. Also there was a certain gradation among them, similar to our degrees, though I have failed to discover any evidence of an initiation. 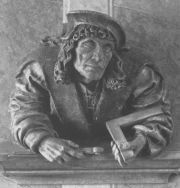 Brother Ravenscroft, with whom one is loathe ever to disagree and who continues his researches in this field, may be right in thinking that some ancient Masonic traditions, particularly such as had to do with Solomon's Temple, were preserved and transmitted to us out of antiquity by the Comacines. It is a fascinating theory to which future discoveries may bring more convincing proof; it would seem to me, if I may again express a private opinion, that two facts tell heavily against such a theory; one is that these traditions, most of them at least, have always been preserved in the Scriptures and therefore available at any time; and, what is more important, there was no known connection between the Comacine guild, which did its own work in Italy where Gothic never became established, and the guilds among which Gothic grew up. The whole Comacine question, so far as speculative Freemasonry is concerned, it thus appears, remains in the air, or, if one prefers the figure, on the knees of the gods. This means that there is much work remaining to be done by students of today, who will find themselves, if they will turn their attention to medieval architecture and its history, in an enchanted realm. Cathedral Builders, Leader Scott (Mrs. Lucy Baxter). A New Encyclopedia of Freemasonry, Vol. I, A. E. Waite. A Concise History of Freemasonry, R.F.Gould. A Critical Inquiry Into the Condition of the Conventual Builders and Their Relation to Secular Guilds, George F. Fort. From Schola to Cathedral, G. Baldwin Brown. Lombardic Architecture: Its Origin, Development and Derivatives, G.T. Rivoira. History of Italian Architecture, Ricci. I Maestri Comacine, Prof. Merzario. Handbook of Architecture, James Fergusson. Historical Essay on Architecture, Thomas Hope. Sacred and Legendary Art, Mrs. Jameson. Mackey's Revised History of Freemasonry, Clegg, ch. 60. Memorials of German Gothic Architecture, Moller. Ecclesiastical History, Ancient and Modern, J.L. Mosheim. Dictionary of Architecture, C.L. Stieglitz. Encyclopedia of Freemasonry, Mackey, Vol. I, p.161. A History of Architecture in Italy, C. A. Cummings. visitor/s currently on the page.